The summer months can bring different challenges to our skin: Clogging and UV exposure. Sun-safe protected Skin, Clean Skin, Hydrated Skin is a priority. While a lot of us are good about applying physical SPF, wearing hats and staying in the shade, some of us are not so good at it. 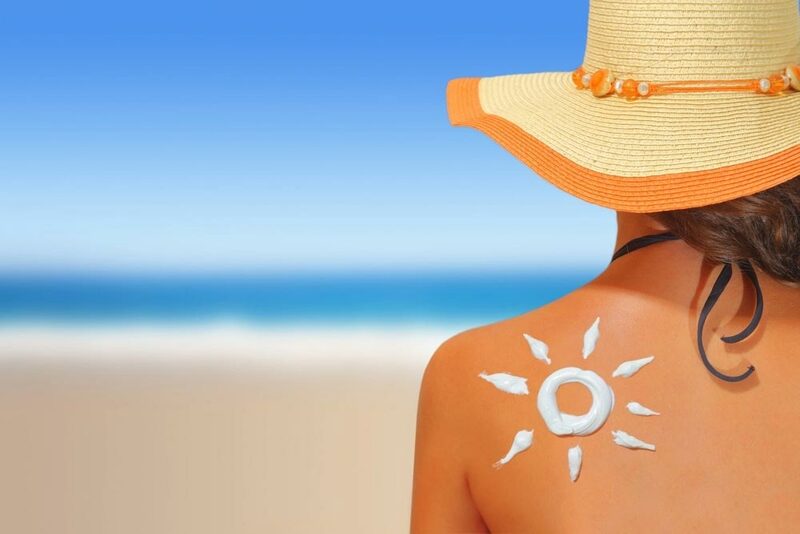 So during the summer it is recommended that you take a break from more aggressive ingredients like retinoid and high concentrations of alpha hydroxy acids in favour of enzymes and larger molecular acids like lactic acids, if you will be "living at the beach “or” on the boat" more during the summer. Get a quality SPF for your face and body and use it every day. Formulations with micronized zinc oxide or titanium dioxide that are powerful, yet lightweight and sheer are your best bet. Summer isn't a time to stop exfoliation, but it is wise to modify it a bit. Some people feel it is essential to over-exfoliate their skin during the summer because you feel your skin is sweaty, clogged & oily because of humidity and your makeup. Powder SPF formulations are more accessible these days for those of you who feel bare without your makeup on and can’t do without it. If your wear makeup, it is recommend that you do a double cleanse at night. For a lot of persons, with skin that is suffocated by oil, makeup and layers of SPF, one cleanse is just not enough. Also use a PH balancing toner to complete your cleansing process. To achieve really clean skin always use a good cleanser & clarifying toner daily and a mild face polish / a gentle at-home chemical exfoliation once to a few times a week/month. Products like clay masks, spot treatment for breakouts with salicylic acid, cooling facial mists are also recommended in keeping skin cleansed. Making sure your skin and body is hydrated during the summer is also a must! Ask your skin care specialist for recommended serums, lotions and gels for your best bet in terms of hydration. It is recommended to use products containing aloe, hyaluronic acid, ceramides and other humectants. These ingredients will capture and bind water molecules to the skin. This is especially important for those of you who are concerned with dehydration. Dehydration can be caused by excessive sweating & dry heat. Drinking enough water during the summer is the key, too. Healthy skin starts from the inside and drinking enough water as well as eating fruits and vegetables are a great way to keep the skin refreshed from the inside out. It's important to do whatever it takes to get water in your system especially during the hot summer months. And don't forget to watch your caffeine intake as this can also be dehydrating.